CSince I have been exploring the smells and tastes of whisky I have come around to some interesting ones. In this blog I will try to keep track of the ones I do not recognise myself, since I am Dutch. Since I am Dutch, the first thing that is hard for me to relate to from a taste point of view would be tastes that are only typically found in English, Scottish or Irish dishes. 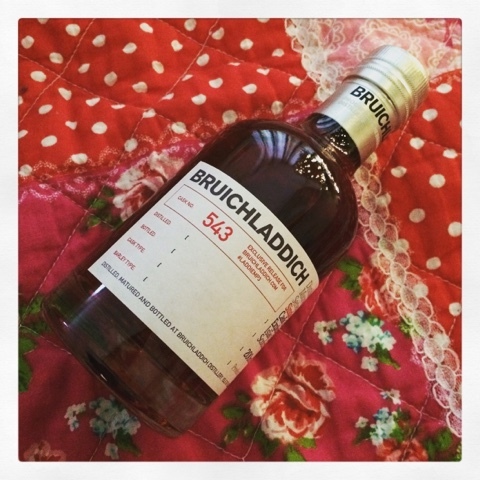 My first reaction to the Christmas Cake tasting note in the full term sherry matured laddiemp3 was :"what!?!?" Guys! Really! 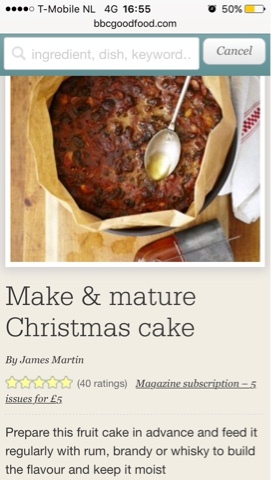 I haven't got a clue what a Christmas cake is, let aside, how it would taste. So what I did just now is Google it and I found a recipe on the BBC site. Since it doesn't get more British then the BBC I will take this reference to be true, but feel free to give feedback if it's not ! So first line in the recipe indicates that you need "Whisky" to apparently drawn the cake in! ;) so yeah! That does explain the Christmas cake note in whisky now does it ;) Hillarious! Most of the ingredients are also to be found in Sherry Matured Whisky if one trusts tasting notes of other whisky's such as Aberlour. So the recognition of "Birthday Cake" is one that is explained by the Raisins, Sultanas, whisky, Almond and Vanilla mostly. I have never tasted Christmas Cake but if I am ever in England around Christmas I will ask for it and see if I can expand my palate. Red Medicine: I tried looking that up but I will have to contact the people first tweeting about it to find out what it was and what it is. To be continued! 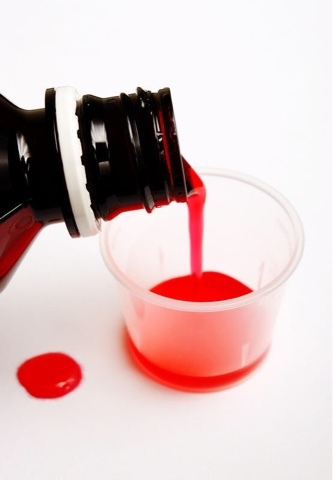 "Taste: Intense red medicine – the stuff I used to get given for colds as a child in the 1980s: liquid red liquorice, fake blackcurrant and an undercurrent of something worryingly medicinal. Green herbal background – throat lozenges, pine needles and damp fields of ferns. Lots of red boiled sweets of all flavours, and an intense sweetness of the most ruby of ruby ports." I will ask what this stuff is but from the looks of it it may be a medicine from the olden days that is discontinued. 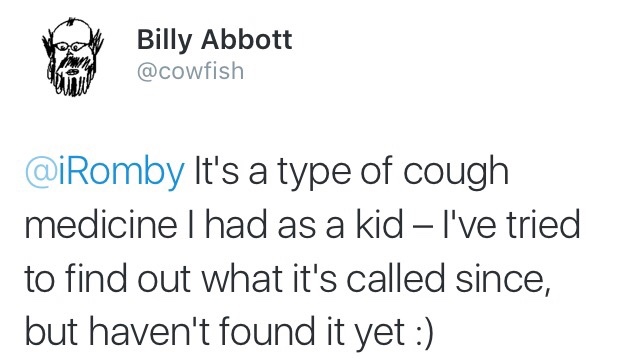 I contacted Billy Abbott via Twitter and he helped by giving the reference more clarity. Thank you Billy! In reactions to this tweet some brandnames for such medications were given. Pertussin and Benylin. This kind of syrup is also known in Holland and depending on the company selling it it has many names. I closed my eyes, took in a wee taste and let it strole around. Now that my mouth was ready, took another taste and yes, I do understand now the "red medicine" note as Billy Abbott describes it. The conclusion I draw from all this fun-time investigation of notes is that they are, and should be, highly personal! But! They can be "transferred" to fellow whisky drinkers by describing them. Making a connection from one person to the other! This is one of the fun parts of the quest I am on!